My Non-Fiction reading has taken a definite hit in the past 2 months. Blame it on my foray into BookTubing and all the Fiction that’s had me engrossed most of the summer. At the end of June, I’d read 27, at the end of July, the tally was 29 and 28 days later, I’ve only added one more NF book to the pile. That’s because I don’t read NF the way I read Fiction – I study NF books, often reading a chapter or a few pages and putting it aside to let the lesson marinate before I move on. All in all, though, I haven’t been spending as much time reading these study books as before. Now that I realize, I can take steps to change that. Do you read a lot of Non-Fiction/ Self-Help/ Self-Improvement books? What’s the best one you’ve read this year? 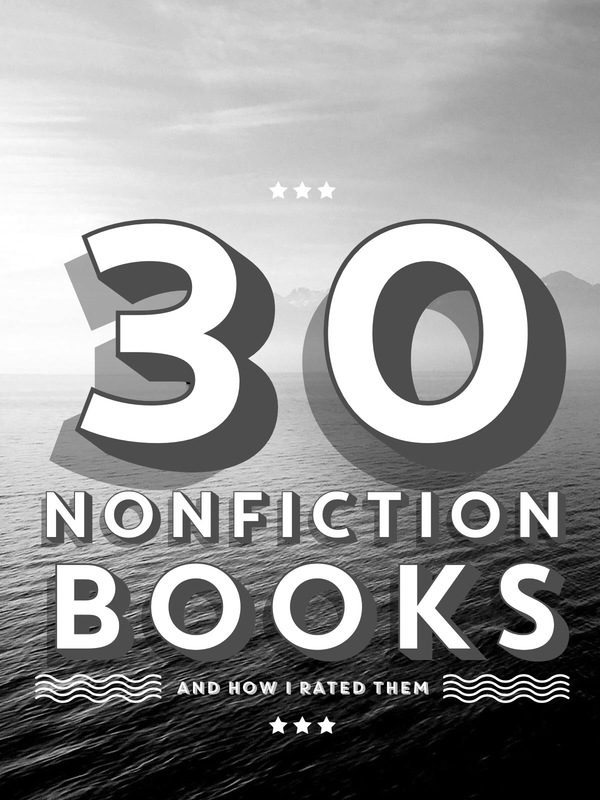 Hi Karen – well I’m impressed with this list of nonfiction! I am mostly a fiction reader and occasionally read a nonfiction. Although I sometimes read memoirs, they often frustrate me, so I definitely enjoy biographies and historical nonfiction more. It’s a different kind of reading, as you say. It truly is. Reading fiction and Non Fiction requires different types of motivations – entertainment or study – but I enjoy them both for different reasons. I couldn’t choose just one. Impressive list of nonfiction books. I will trust your rating and make it a goal to read the ones I haven’t read as yet. Thanks, Paul. Some of them might not be interesting to you because of content but I’ll give you a shortlist of books I’d recommend to you based on this list.